On today’s news episode, we discuss what we know about the new nighttime shows debuting this year, Mickey’s Very Merry Christmas Party dates and prices, and the rumor about extra magic hours changing at Magic Kingdom. Going to Disney World it becomes apparent really quickly that it's not cheap! 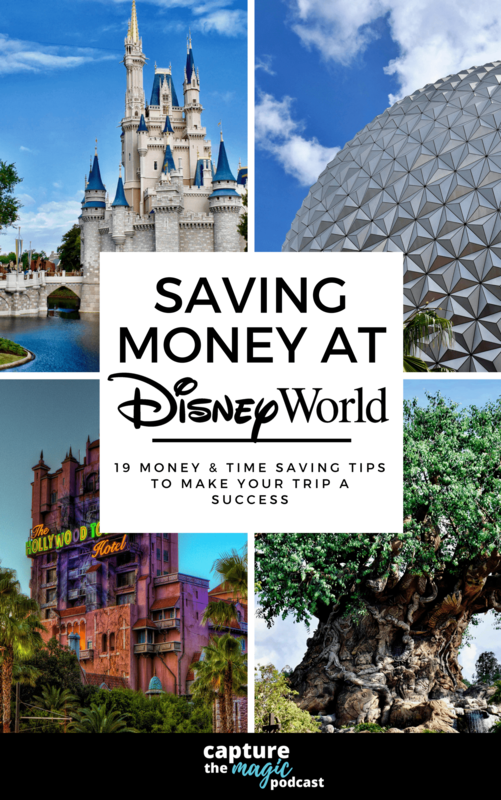 While it's not the cheapest place to visit there are ways you can save money and time on your Disney vacation. We go over 19 tips that we use on our family trips that can help you save money! Capture the Magic Podcast is hosted by my husband Jared and Jamie (me). We started our show because we love going to Disney World as much as we can and figured when we can’t be at Disney, we can at least talk about Disney. We are always staying up on the latest news, rumors, talking about things we love, things we would change and things we would love to see at Disney. The podcast has also proved another great way for us to stay in the Disney spirit, connect with others in the Disney community and hopefully along the way others will find our conversations entertaining, informative and of course fun. We hope you’ll join in on the fun!